The aim was to move the tenants out of the way, to sell the land to pay for the commitment to build a tram. 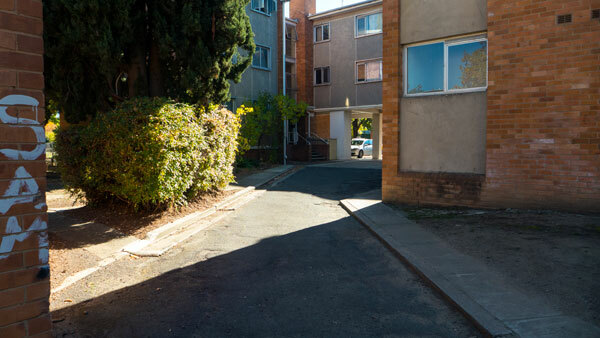 A lot had been written about the ACT Government’s announcement to establish small government housing estates on community-zoned land in Weston Creek suburbs. These remain very contentious matters as the government decided to use what were community land – open spaces – for the new hosing developments. The government achieved this change of zoning use by a sneaky method – they introduced a technical change to the code with no public announcement that this was happening. 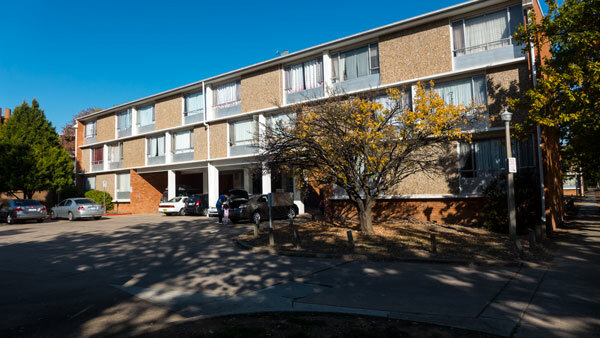 Sadly little of what was written in the media at the time was about the people involved – those whose homes were being affected by decisions by the Urban Clearances programs – to clear public housing away from Northbourne Avenue. I read the Chief minister’s statement linking his family story to public housing and then somehow he used that to justify his criticisms of Weston Creek communities who were objecting to the way these matters were being handled and the potential loss of precious community open spaces. His words were not helpful. Rather they continue to divide people rather than to demonstrate any willingness to bring people together. That would be leadership and that is something that this government was lacking then – an definitely continues to lack. What the government’s statements made clear was that the government itself had a questionable attitude towards those in public housing. The government was using these people as human shields to distract from the real agenda – to get the Northbourne corridor ready for sale by clearing residents from public housing blocks in order to achieve maximum sale prices. The government and its proxies had worked hard to keep the debate on the moral issue of public housing, and if you did not agree, then you were to be viewed as being a nasty person against public housing. There are many examples of this use of high moral ground argument across all media, including online and by some of the plants within community associations. From a resident’s point of view the most revealing matter had been the government’s clandestine ‘technical change’ to the planning rules to allow for public housing on previously community-zoned land. Minister Mick Gentleman needs to explain how this amendment holds up under scrutiny. The government knew its development proposal was in breach of the Territory Plan and so it quietly made an illegitimate amendment to skirt around the issue. 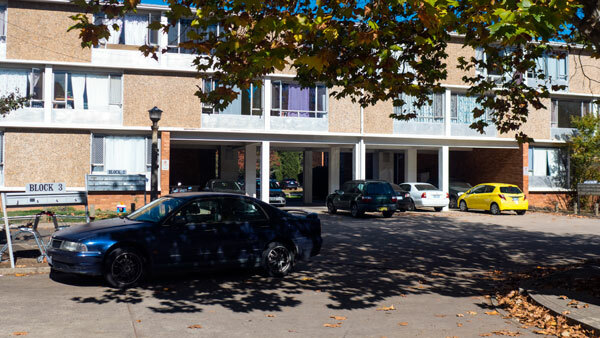 What this means is that parks and other community facility zoned land all around Canberra may soon be switched over to public housing, given the government’s questionable amendment. 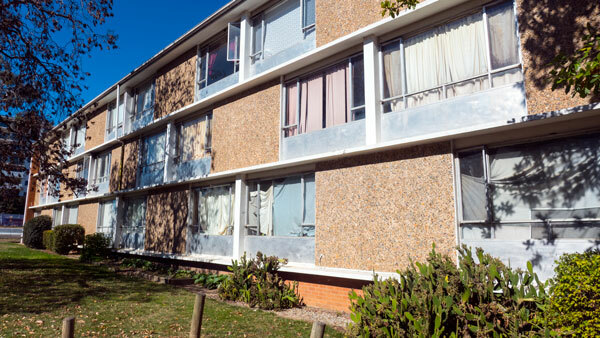 Among the many well thought out and justifiable arguments put by residents, there surfaced the occasional tone that signalled a narrow understanding of the lives of the people in public housing. While this was not a healthy attitude, it was not surprising as most residents have little experience of public housing. It had been – and continues to be – an unfortunate aspect of the recent debates to witness the government exploit this minority view of public housing. The fundamental matter of concern is not about the bricks and mortar – it is about people, their lives, their wellbeing, their families and children, their health and safety and their wishes and aspirations. 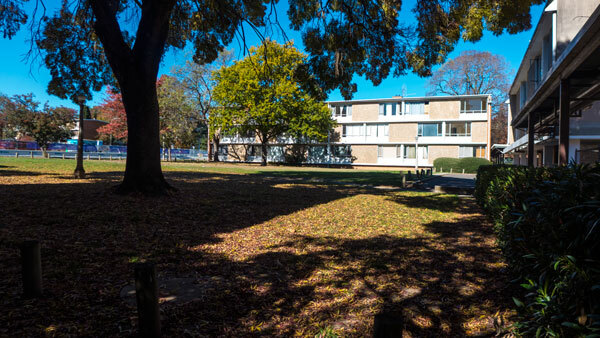 The Northbourne Flats in Turner were situated immediately north of Haig Park. This public housing site, as with others nearby, is now cleared and is to be sold. I too had mixed feelings about what it would be like to live there. In 2017 I had occasion to make a couple of visits. My views became slightly better informed. There was absolutely no doubt that this complex had deteriorated through minimal maintenance and lack of respect for the people who live there. There was probably a time not too long ago when it would have been possible to extensively renovate the buildings by adding an extension to the sides to provide larger kitchens, laundries as well as a balcony. (none had internal laundries or balconies). Such architectural additions were done to a previous government complex in Forbes Street – see the image below of Condamine Court. Sadly given the state of the buildings and the decisions to sell to pay for the tram, all that was no longer feasible. However such an approach would have done what the current sale and urban clearances will not do; allow people who wanted to stay in this location to continue their lives, have their children continue in local schools – to access their own support agencies (doctors and others) and to stay within the communities they enjoyed. This complex had a strong multi-cultural mix; there were people who have various backgrounds – including many who had public and private sector jobs – and some that still do. There were people who were recent arrivals to Australia alongside others who had lived there for decades (one woman being 95 years old). Some had not had the successes and opportunities that many of us have enjoyed – some were still paying for bad life choices in the past– some struggled with the costs of living and had to make very hard decisions on what to buy and from where just to ensure they had a basic meal daily. The atmosphere in the Northbourne Flats was very peaceful with most being mindful of others and a lot of care taken to look out for each other. In the evenings the cooking aromas that wafted about reflected the multicultural nature of the occupants. After hours there was the sound of children and on weekends people were outside enjoying the sunshine with several cleaning out their cars. Sound familiar. Yep – it is just what happens in most suburban areas. I do wonder about the culture within government that allowed a patronising attitude to dominate decisions resulting in the occupants having been given limited options accept to agree to their removal to make way for the new developments. One wonders whether in a fairer world and with improved housing just how many of these people would have choosen to stay in this immediate area. This government continues to allocate huge resources (and spin) to wedge community spokespersons with high moral arguments that distract from their decisions to take over former community designated spaces. Previous policy initiatives to no longer build clusters of public housing seem to have been put in the trash. If common sense and respect could have returned to the debate, maybe some very intelligent outcomes could have been worked out. I consider that the Minister for Clearances, as I have referred to her in previous writings, should be ashamed of the way the Labor/Greens government continues to handle this shifting of people out of their homes. 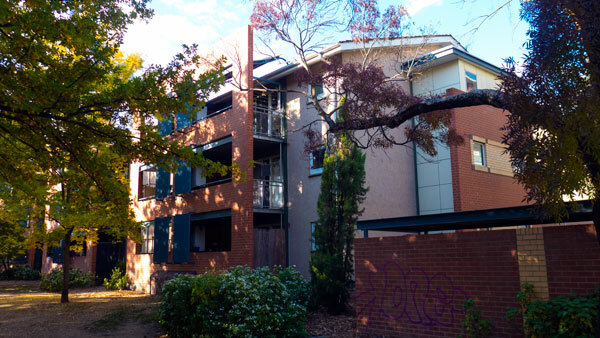 She cannot be proud of how the ACT Labor/Greens coalition government continues to mishandled the communities into which some of these public housing tenants will one day be trying to mingle and live normal lives – despite the negative attitudes that have come to the fore as a result of the lack of care displayed throughout this whole affair. I firmly believe that all of the government members are responsible for this mishandling of social housing. They are all part of this government and no justifications can excuse any of them – Labor or Greens members. They all equally own the responsibility to have made better decisions around social housing and not carried out this disgraceful program of Social Clearances – Urban Clearances – or Gentrification – to meet another agenda. There is a lot more to say on this subject. So last words: To anyone in government who can influence this moving of people out of their homes –think about taking a different attitude to the people caught up in this. The result could still be some public housing in the suburbs mentioned – but it should be an outcome that is based on respect towards all involved. Remember that the former occupants of the government housing along Northbourne are people.